THE DIRTY ARMY: Nik, being mentioned on your site has really made Mandi Foster’s year! She’s writing about it again, saying that posting her screenshots of her reaction equates to someone who won’t stop going crazy on her. This opinion coming from crazy cat-woman like Mandi Foster. 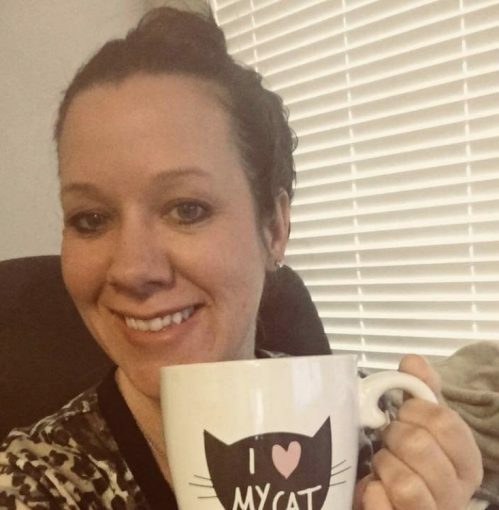 She made her meetup group private so people can’t see that her 2,090 members are mostly stray cats! If she’s not careful, she’ll find her puny little group shut down by meetup.com. 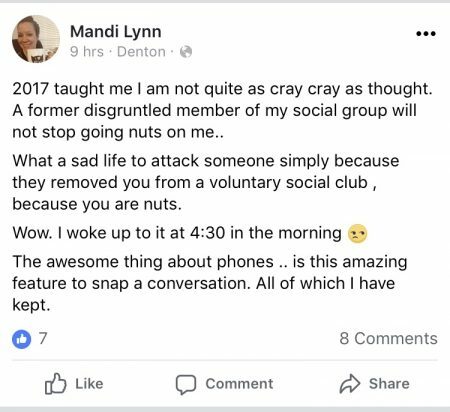 Then sista girl Mandi will have to be put on suicide-watch! Or just go get a better nose job. She looked cuter in the original post. “Mandi Foster can’t stop talking about being featured on The Dirty”…….HENCE WHY I KEEP ON ADVOCATING THAT WORTHLESS UGLY PIGS DONT DESERVE TO EVER BE POSTED ON THIS WEBSITE.